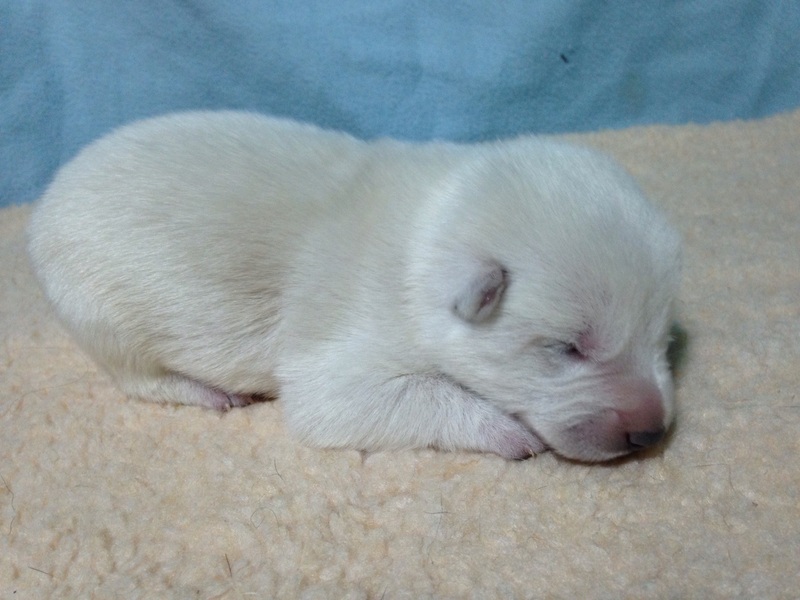 Puppies are 3 weeks old now and growing up, doing more dog things like barking and playing and play growls, and most appreciated: they are using pee pads very reliably. 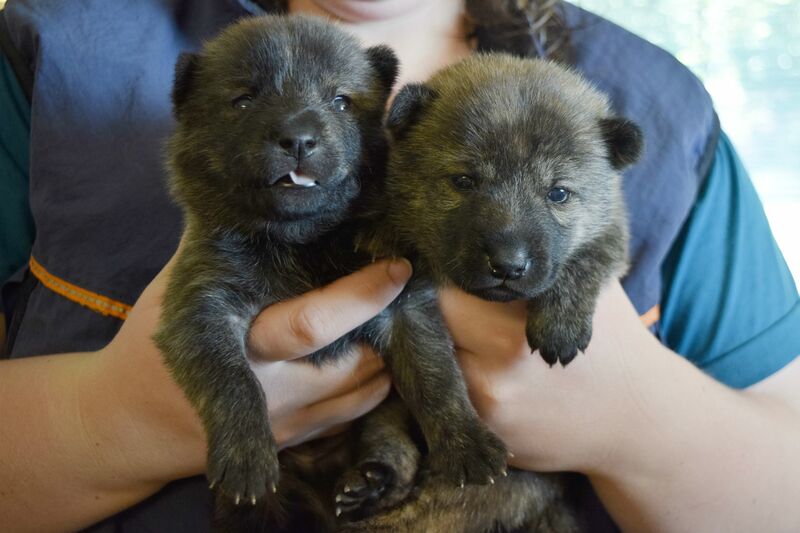 The brindle kids, on the left is the little boy Rakko, and to the right is Umma. 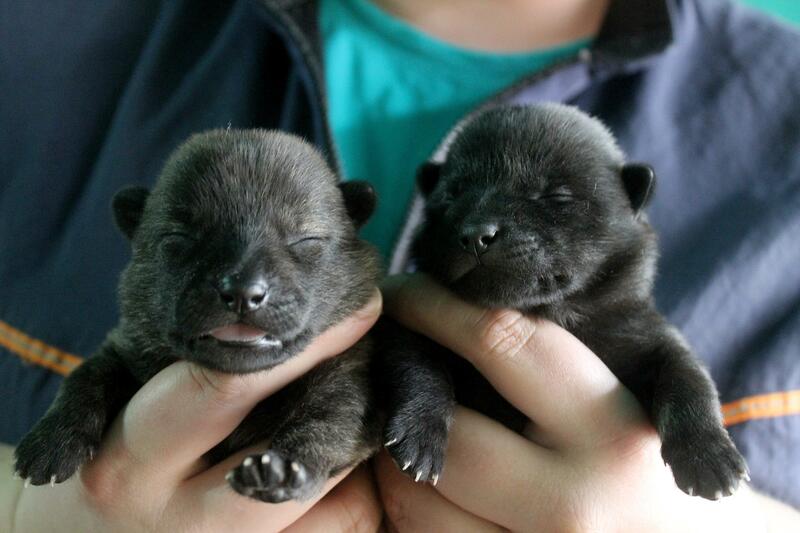 And the black/brindle vs black/tan (time will tell) girls, Kunne (left) and Kurasi (right). In other news, the puppies had a couple of families to visit the last few days. It’s always nice to introduce people to the breed and get to know them. Genko very much enjoyed getting the extra treats. We have had some very special visitors the last few weeks. 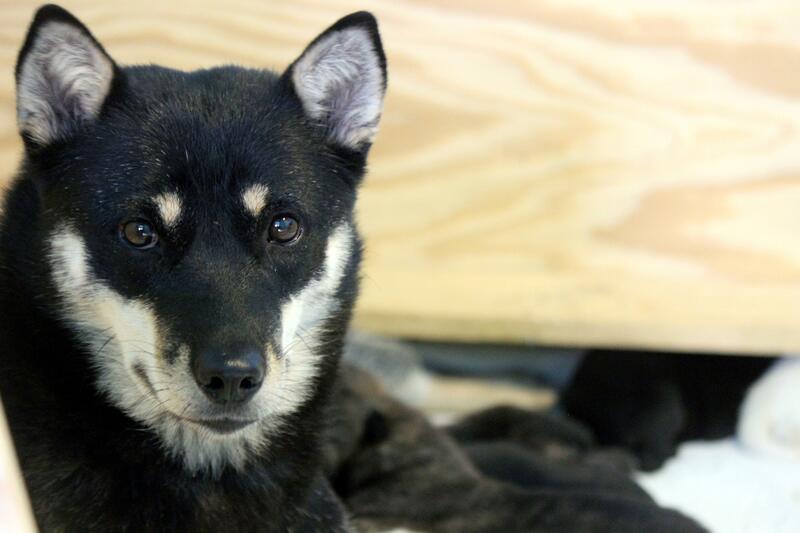 Thank you Jennifer for bringing Kiba and Taro (Kai and Shiba) over to play with the dogs and for taking Shiba puppy photos. 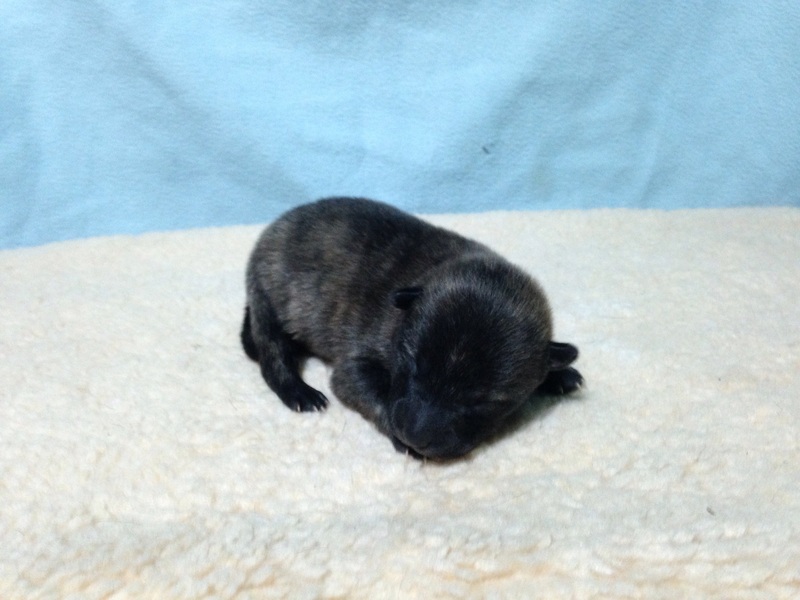 Rakko is the smaller brindle boy, and his name means “Otter”, and it’s a great name for this guy who is a little survivor. Kurasi is Ainu for dark. 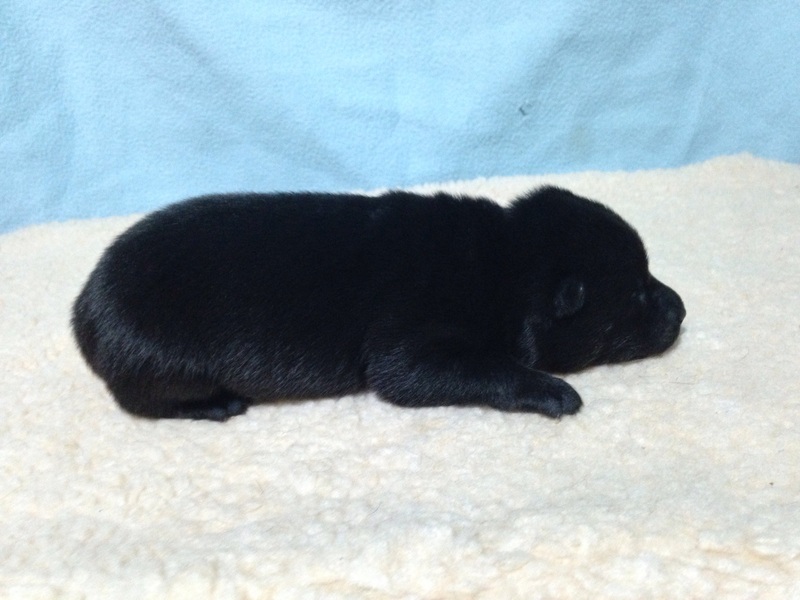 She is the darkest puppy. 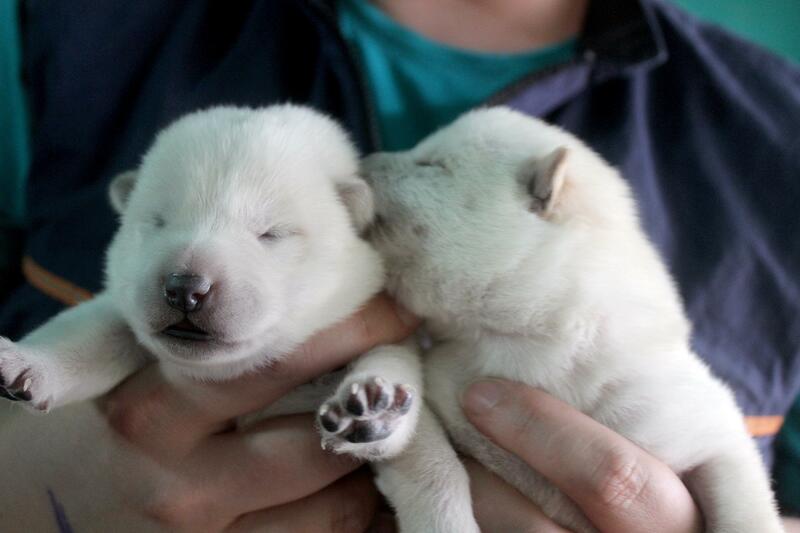 Puppy 6, the very white male on the left, is now “Retar”, the Ainu word for white. 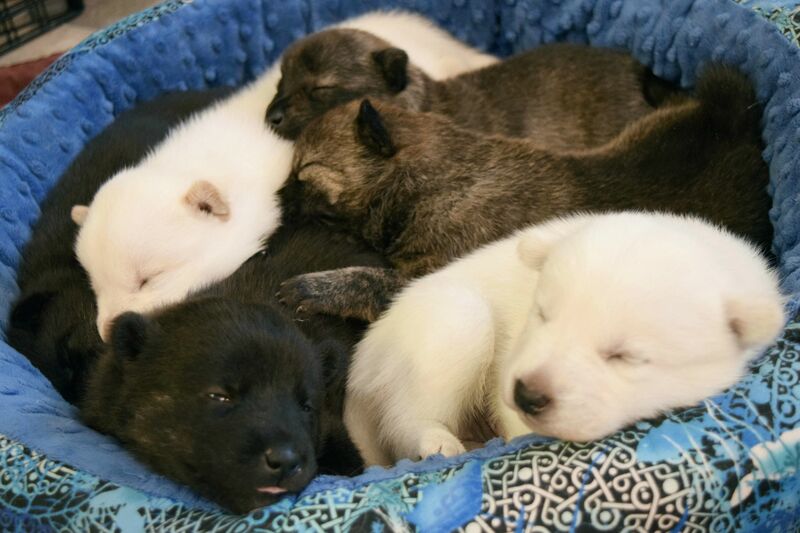 His brother puppy 4, the white pup with lots of red, is named “Yukar”, who Meitou the white Hokkaido picked out 🙂 Yukar are Ainu heroic/epic stories. Yukar is sure to have some of those about him. 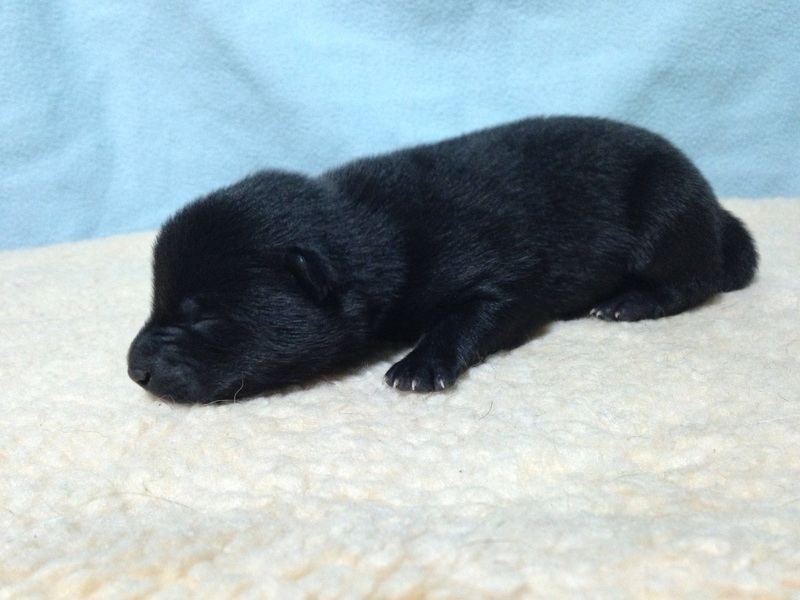 Puppy 3, the large black/tan/brindle girl, is now “Kunne”, which is Ainu for black. 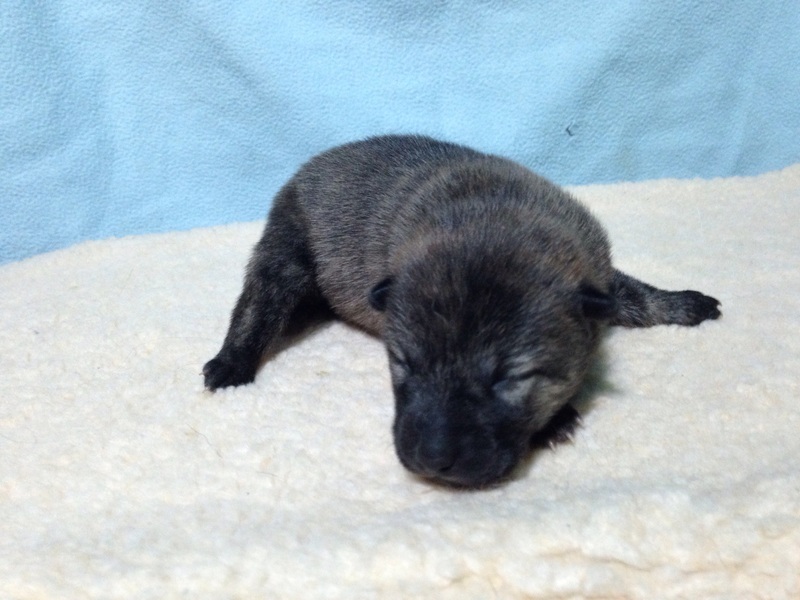 And lastly, her brindle sister, puppy 5, is the largest girl of the litter, and we decided to name her “Umma”, which means horse. I think it’s a very pretty name for this not so little girl. 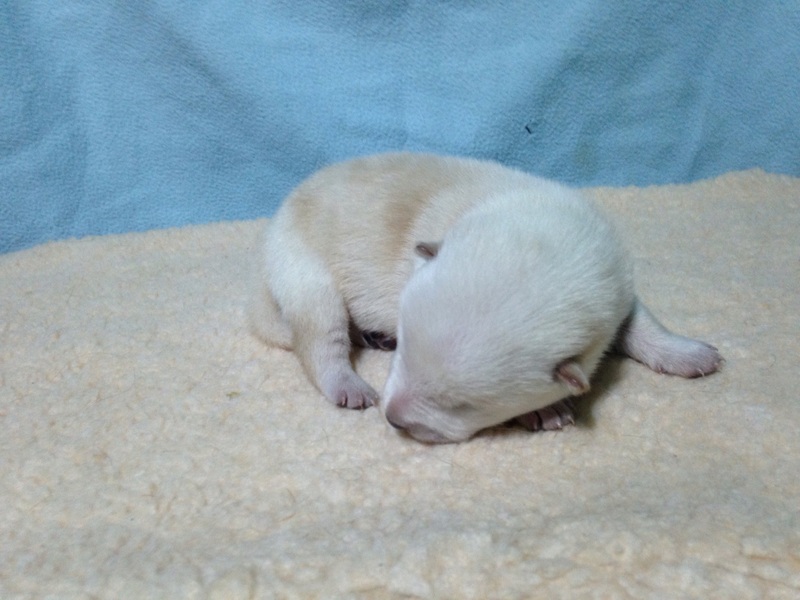 These two girls will be staying on a bit longer so I can evaluate which is the better fit to take over for Genko. I checked several of the available online dictionaries for Ainu translations…I hope they were accurate! If you the readers see an error there, please let me know. I would hope I am not unknowingly calling any of them “Bilge water” or “Outhouse” or something unflattering lol. 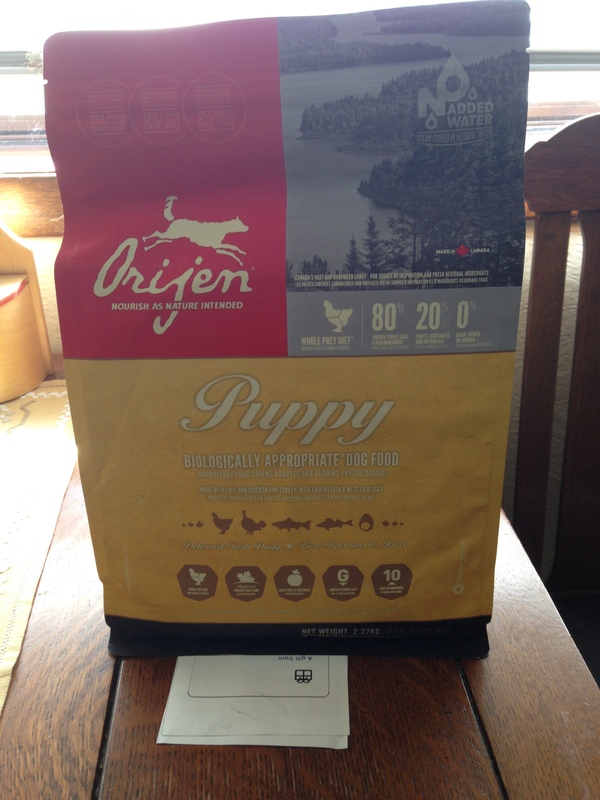 We got a couple orders already, and another big box of puppy pads! Puppies starting to bark a bit, all gaining well! 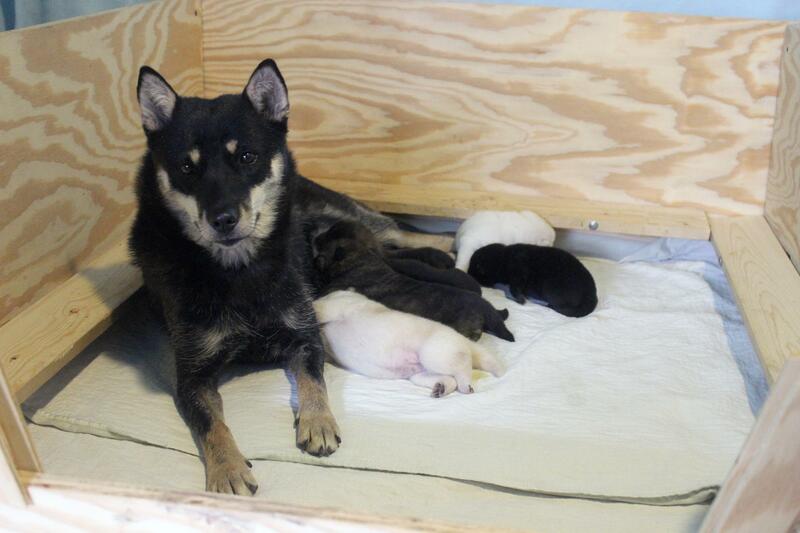 Although we have all essential supplies, they will grow quickly (and eat a lot), and momma Genko has a lot of puppies to feed. 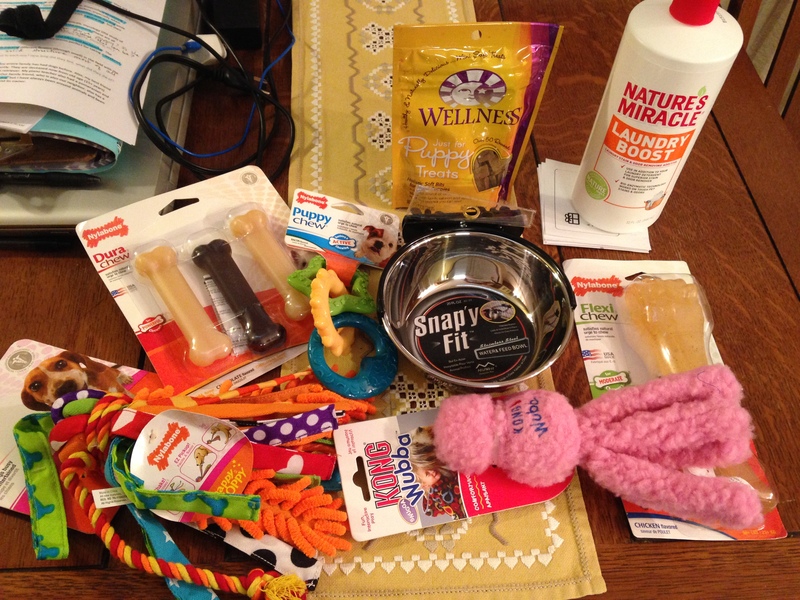 They will also be hard on toys, so chewies, food and cleaning supplies will go quickly and need continual replacement. 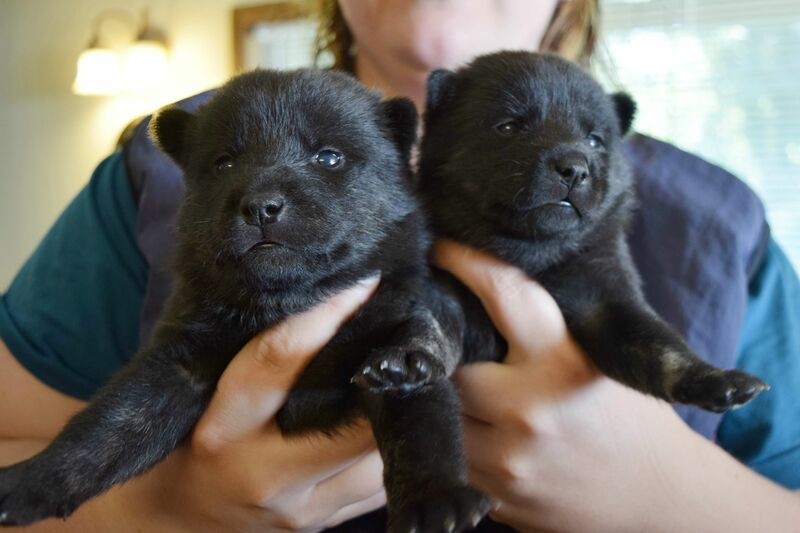 I may also need to hold onto any puppies that may go to Europe until they are about 4 months old, due to Rabies and international requirements. 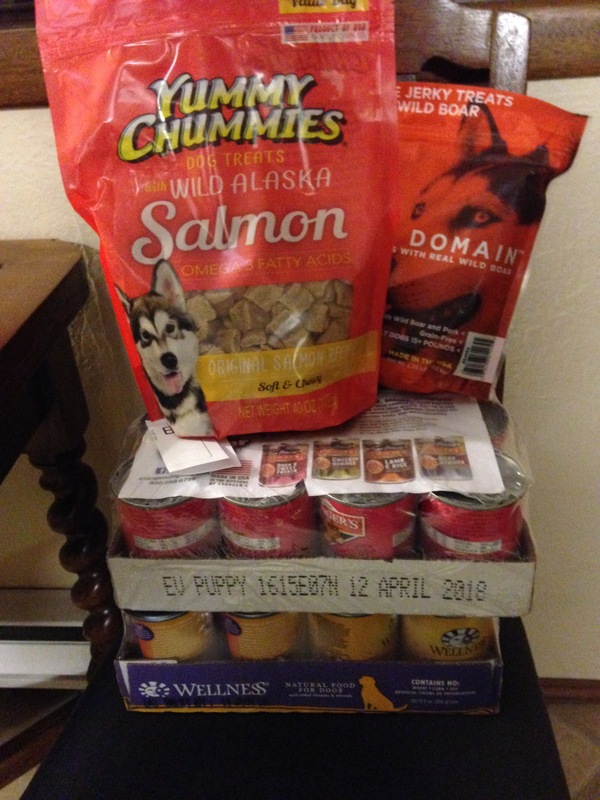 Items listed are: Solid Gold Puppy, Evangers canned lamb/rice, a vitamin supplement, Honest Kitchen goat milk ProBloom, Endosorb tabs, Fish oil, Forti Flora, and pumpkin powder. As you can maybe tell, we have been dealing with some loose stool as she ate all of the placentas pretty much immediately as they came out. 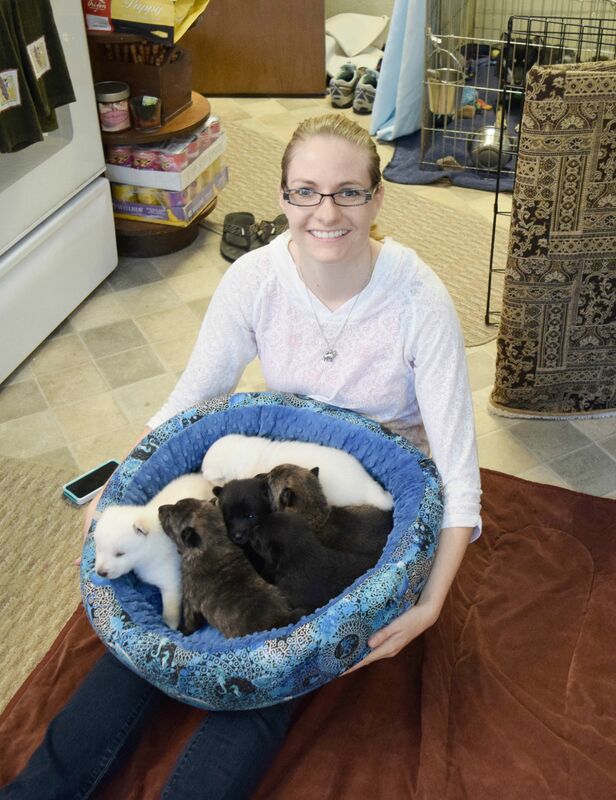 With 6 puppies? The aftermath is well, messy, and the puppies aren’t even on their feet yet. So, when I got my 2nd big box of Nature’s Miracle 100ct Tropical scented puppy pads today from Amazon, you can imagine I was especially excited. 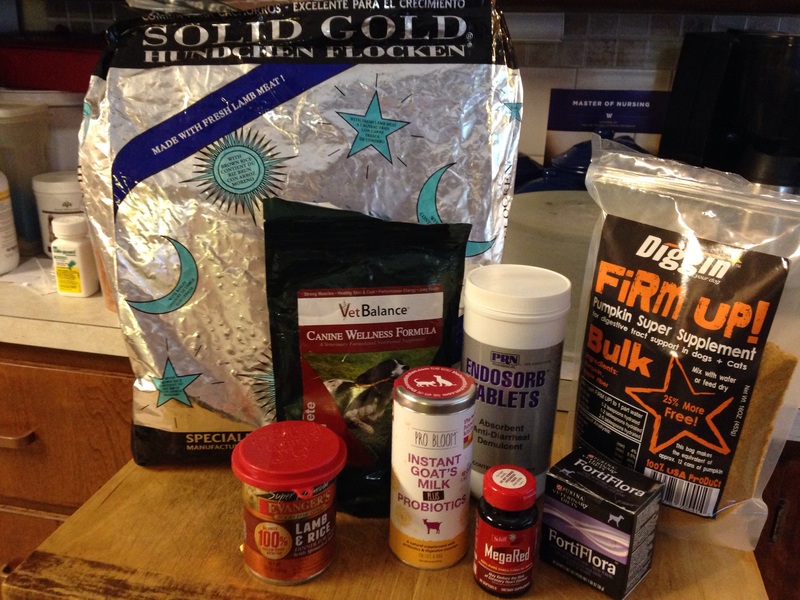 She went through one box already this week…100ct. That’s a lot of poo, but birth is a messy thing, so not unexpected. And the bulking agents and probiotics do really help, it’s just a natural process that takes time to clear out of the momma dogs system. Before she was bred, at the recommendation of my Reproductive Vet, she was given folic acid, fish oil, probiotics, and Vitamin E. No cleft palates or neural tube defects later, I’m glad I’ve done the extra work. She was also wormed heavily just in case. I am also feeding her 3-4 times a day, which she enjoys (and getting tidbits and chewies too). There’s a lot of work that goes into a healthy mom and babies! 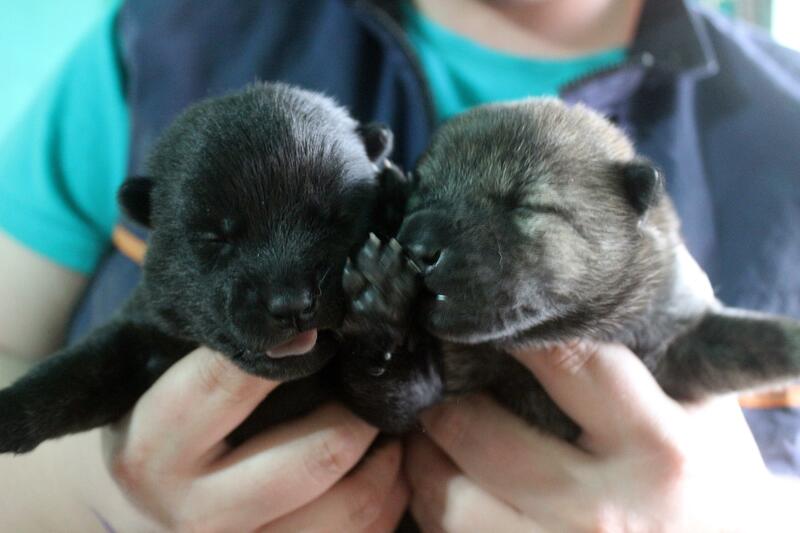 Well puppies are now 1 week old and the smallest are nearly a pound, still obviously smaller, but holding their own. Genko is bored and feeling like her old self again, bringing me toys to play with her and wanting to spend time with her Shiba boyfriends. The puppy room heating pad and heat lamp are off most of the time as it’s been warm out, and they twitch their little ears now so I think they are hearing for the first time. I have been playing my “Puppy Sounds” CD and they have the Classical Radio Station on the rest of the time. 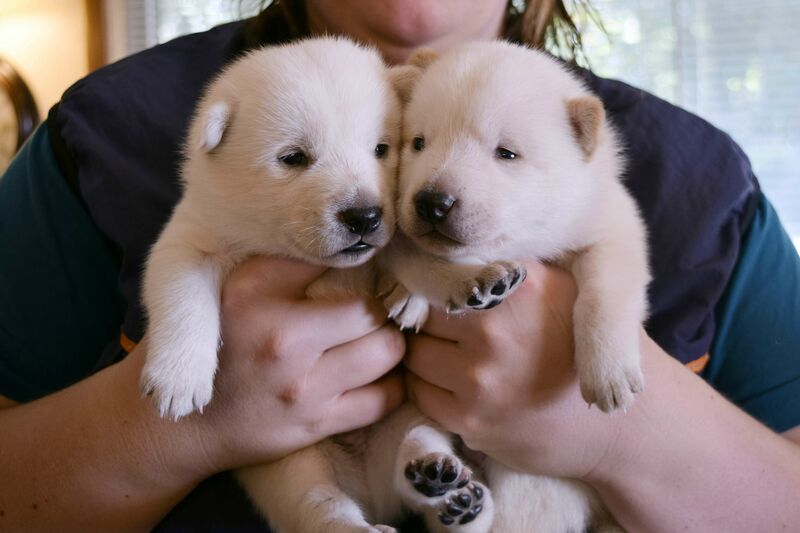 They are handled multiple times during the day, and held and their feet touched…everything I would do for a Shiba litter. Once their eyes open, then the real fun begins!